Let’s discuss and make it work. 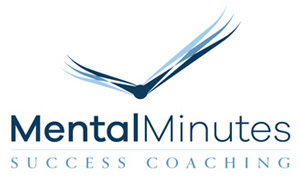 Due to any financial situation, Mental Minutes Success Coaching will provide a service that will fit your budget, realizing that valuable coaching time is unmeasurable. Life is an amazing journey. We set out with a map but sometimes we encounter roadblocks and detours but never loose sight of our destination. Always remember that success is the key to motivation, but it’s the determination and commitment to an unrelenting pursuit of a goal, a commitment to excellence, that enables us to attain the success we seek. Stay focused and live well! Mental Minutes will be hosting upcoming networking events in Los Angeles, CA. Stay tuned and check back to find updated information. (Membership initiation fee waived for all new members until the end of the month).